In this award winning book, the characters work many different jobs to earn an income. Marvelosissimo, the Mathematical Magician, takes them to the bank to explain what they can do with their money. 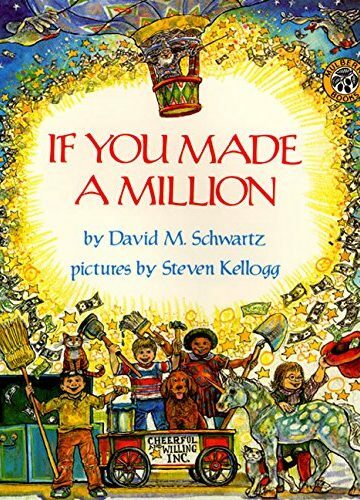 From counting their money to the basics of banking, this book dives into some deep topics in a childlike and relatable way for kids. David does a great job of relaying this complex information in a way that children can understand.